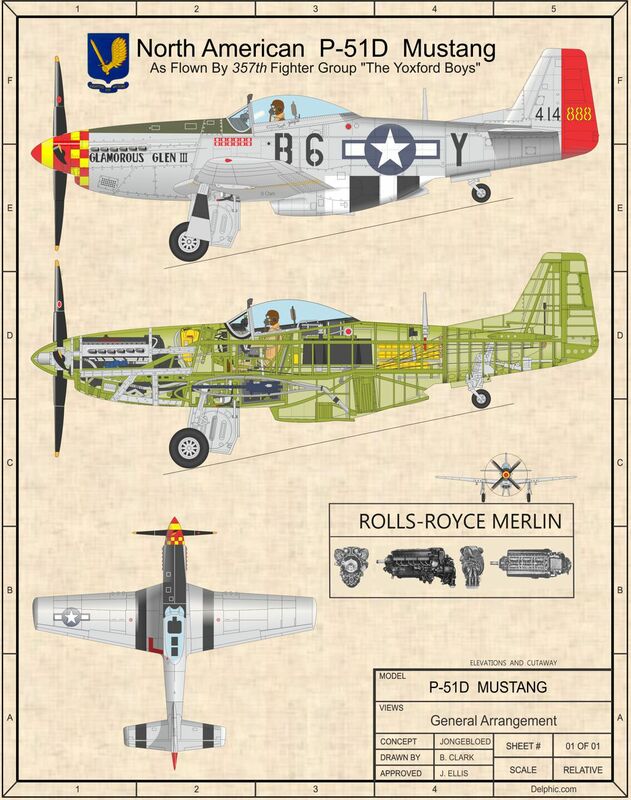 Our P-51D Mustang cutaway is printed on 11" x 13" piece of canvas. After the image is printed on the canvas, it is sprayed with a UV protectant to prevent fading and cracking. One of our goals is to have a drawing for every squadron that flew Mustangs. We will change the markings to any squadron and plane for free. We may already have created a drawing for your squadron, please e-mail us with your particulars. Do you want to personalize this drawing? We could include a sepia image of a pilot, a picture of the plane in flight or add personal text. The possiblities are endless. We could also use the same image on our t-shirts and coffee mugs. This is a perfect gift for anyone who loves this plane. The print can be virtually any size and has many framing options. It can be wrapped on wooden frames, placed in a floating frame, as well as being just ready to frame. Please e-mail us for more information on sizing and framing options. 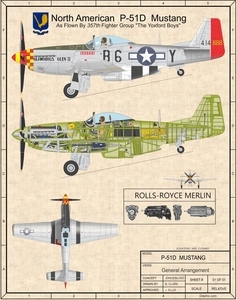 Click here to see all the P-51 Mustang products.